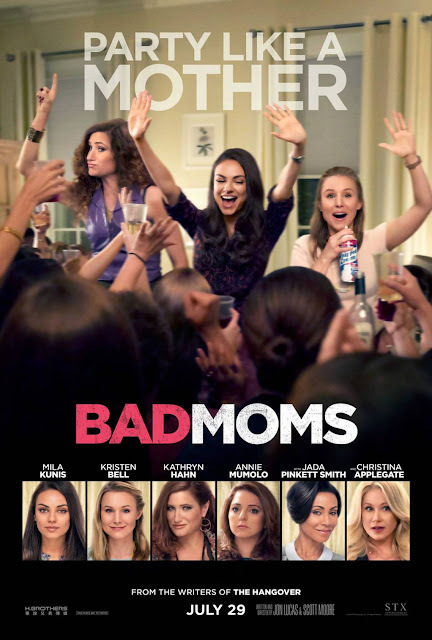 Bad Moms is a fairly straightforward women behaving badly comedy that offers a decent amount of laughs. It’s a great showcase for Mila Kunis who is a gifted comedic actress who’s deserved a showcase for a while. Kunis is great in her role but Kathryn Hahn nearly steals the show as her bawdy new friend. Hahn is always the most interesting person on screen and covers for some underlying script issues. Kristen Bell is solid if unimpressive, mainly due to a thinly written character. There in lies the films biggest issue. The actors really make a weak script far better than it should be. The characters are all types more than actual people. It’s not a terrible flaw since the actors all turn in solid work but noticeable enough to make you wish they’d spent a bit more time fleshing these characters out.